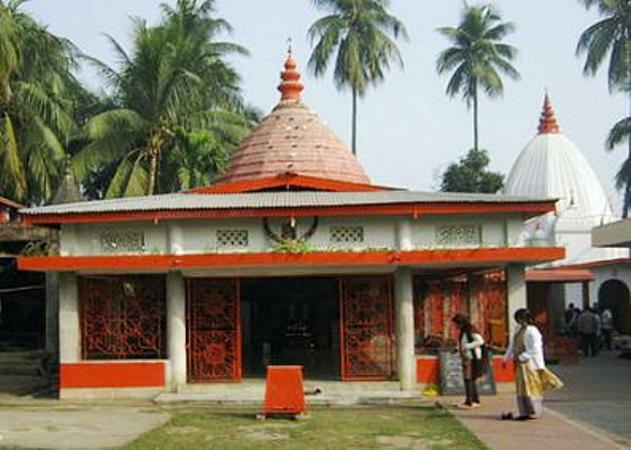 Shiva is said to have resided here in the form of Bhayananda. According to the Kalika Purana, in the beginning of the creation Shiva sprinkled ashes (bhasma) at this place and imparted knowledge to Parvati (his consort). It is said that, when Shiva was in meditation on this hillock, Kamadeva interrupted his yoga and was therefore burnt to ashes by the fire of Shiva’s anger and hence the hillock got the name Bhasmacala. This mountain is also called Bhasmakuta. 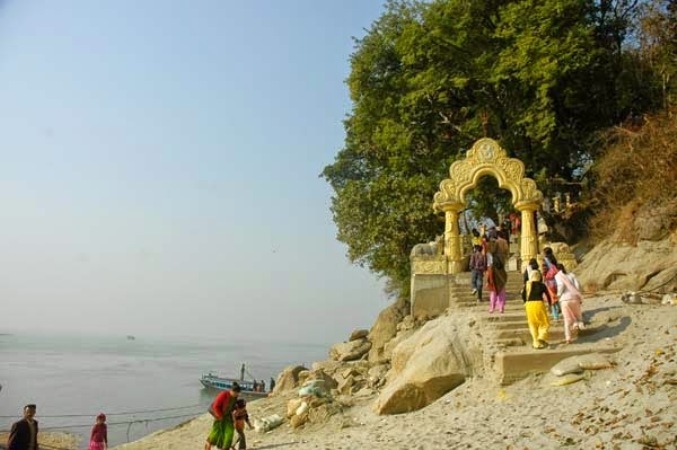 The Kalika Purana states that Urvasikunda is situated here and here resides the goddess Urvasi who brings Amrit (nectar) for the enjoyment of Kamakhya and hence the island got the name Urvasi Island. The presiding deity of the temple is Umananda (Tatrasti bhagavan sambhu- ruma- nandakarah Prabhu). 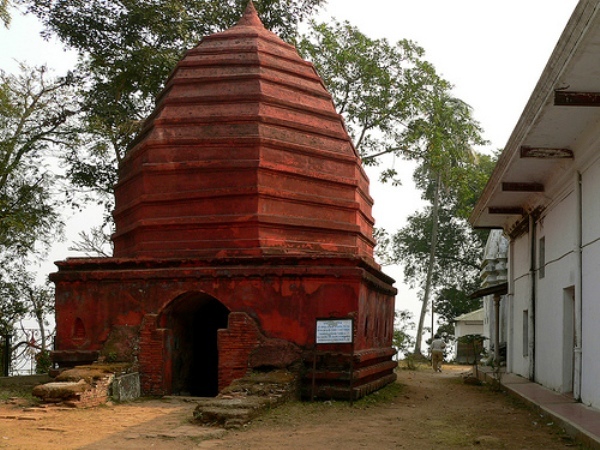 The temple of Umananda was built in 1694 A.D. by the Bar Phukan Garhganya Handique by the order of King Gadadhar Singha (1681–1696), one of the ablest and strongest rulers of the Ahom dynasty. The original temple was however immensely damaged by a devastating earthquake of 1897. Later, it was reconstructed by a rich local merchant who chose to inscribe the interior part of a Shiva temple with Vaisnavite slogans. By Helicopter : Pawan Hans, a helicopter service provider, provides helicopter services from Guwahati to Shillong (30 min), Tura (50 min), Naharlagun (Itanagar), Tawang (75 min) and vice versa. By Rail:Guwahati Junction is the major railway station of Guwahati. Kamakhya Junction is the second largest station of the city. Guwahati is well connected with all the major cities of the country through rails. From the railways station, you can hire a cab/taxi or board a local bus to get to the city centre or to your hotel. By Road:Guwahati is very well connected with the adjoining cities and states through bus service. The three nodal points of Adabari, Paltan Bazar and ISBT Guwahati, provide bus services to towns and cities in Assam and adjoining states. It is believed that, worship here on the Amavasya day when it falls on Monday brings the highest bliss. The Siva Chaturdasi is the most colourful festival that is held here annually. Many devotees come to the temple on this occasion for the worship of the deity.